A question came to my mind: Could I find something related to Shanghai, the city where about 20,000 Ashkenazi Jews found refuge, here? As I started my research in the museum’s collection, I was excited to find an abundance of such information. Now I would like to share these stories with you. After the November pogroms, more than 115,000 Jews emigrated from the Reich. With only 20 kilos of baggage and 10 Reichsmarks, the majority of those emigrants went to neighboring European countries, the US, and Palestine. At least 14,000 made their way to Shanghai, the only city in the world that allowed entry without a visa or passport at that time. However, the struggle between escaping to Shanghai and committing suicide was real. Even in a time of such desperation, the Jewish leadership in Germany did not support this option for fear that there would be no way for emigrants to earn a living. Jewish emigration to Shanghai continued until the outbreak of Pacific War, when Japan conquered Shanghai the day after Pearl Harbor. Afterwards, the situation of Jews became worse and worse day by day. From 1941 to 1945, about 23,000 of the city’s “stateless” Jews were restricted or relocated to the “Restricted Sector for Stateless Refugees” in Hongkou or the “Shanghai Ghetto,” where the Russian Synagogue Beit Ohel Moshe was located. They had to carry ghetto passes – like the one from Mr. Hermann Meyer in the picture above – whenever they needed to leave or enter the ghetto. Unlike the European Jews, who wore the discriminative “star of David,” the Jews of Shanghai had to wear a red metal badge with the Chinese character “Tong” (“pass”) outside of the ghetto; otherwise, they could get in trouble with the Japanese soldiers and lose their pass. While many negative associations have been added to the color yellow in Europe, the color red remains a symbol of good luck in China. There is a saying in Chinese, “Those who are round and smooth have a better chance to survive than those who have edges and angles.” However, the Jews in Shanghai did not survive because they were more flexible and slick, but because they simply took the road less traveled. Besides these artifacts that remind us of the hard times Jewish refugees had to face in their exile in Shanghai, there are other objects that evoke happier moments. There is, for example, the pair of women’s shoes presented in the photograph. It dates back to around 1940. From the sole, I know it is a pair of high-quality shoes: “Made in China.” The shoes must have been modern and fashionable back then, considering the fact that during that time millions of Chinese women had just been set free from binding their feet into “three-inch golden lotuses.” They only recently had the opportunity to try such beautiful and modern high-heeled shoes, decorated with embroidered floral appliqué. 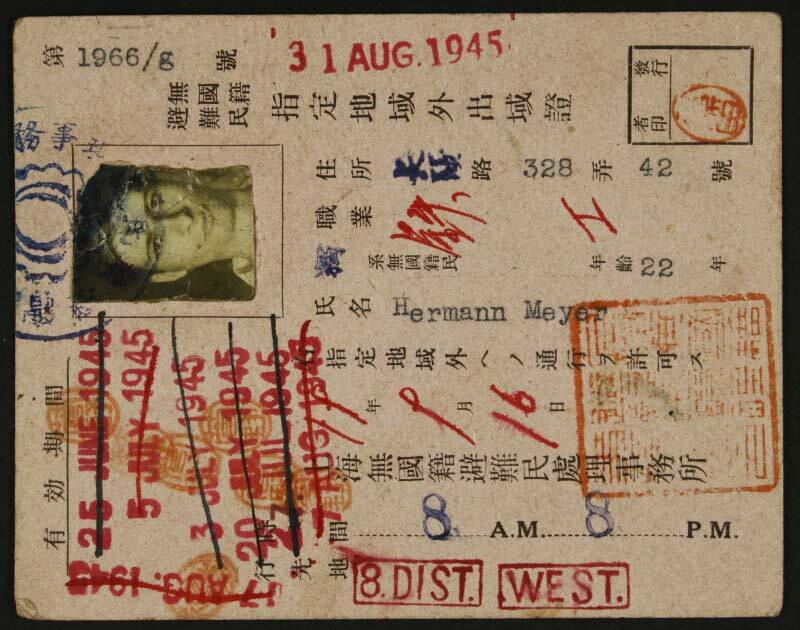 As far as I can tell, for many professionals among the male Jewish refugees, be it lawyers from Berlin or doctors from Vienna, coming to Shanghai meant unemployment. As a result of language barriers, many men in their thirties and forties became “housemen.” In many cases, their wives became the breadwinners of the family because of their better English ability and flexibility. Life was hard for everyone, but especially for those hard-working women. 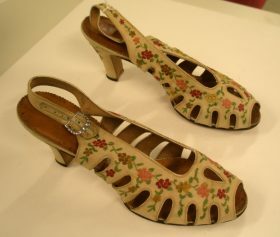 It is unlikely that these beautiful shoes were used in everyday life but rather for special occasions, like parties. Even after so many years, this pair of shoes has been so carefully preserved that maybe there are some wonderful memories related to it. One thing is for sure: even in the hardest and darkest times, we can still dance. 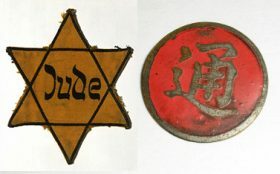 Wei Zhang thinks that the history of Jewish refugees in Shanghai still has meaning today, for it reminds us of the mistake made by the western world in refusing to accept more Jewish immigrants than their tiny quotas, dividing the world into two parts—the places where Jews could not live and those where they could not enter. Now with the refugee crisis growing, the world should not make the mistake again. interesting history, special angle and lovely words! In the meantime, the author also translated his article into Chinese. You can read the Chinese version in The Times of Israel.